if chosen, what message would you like? 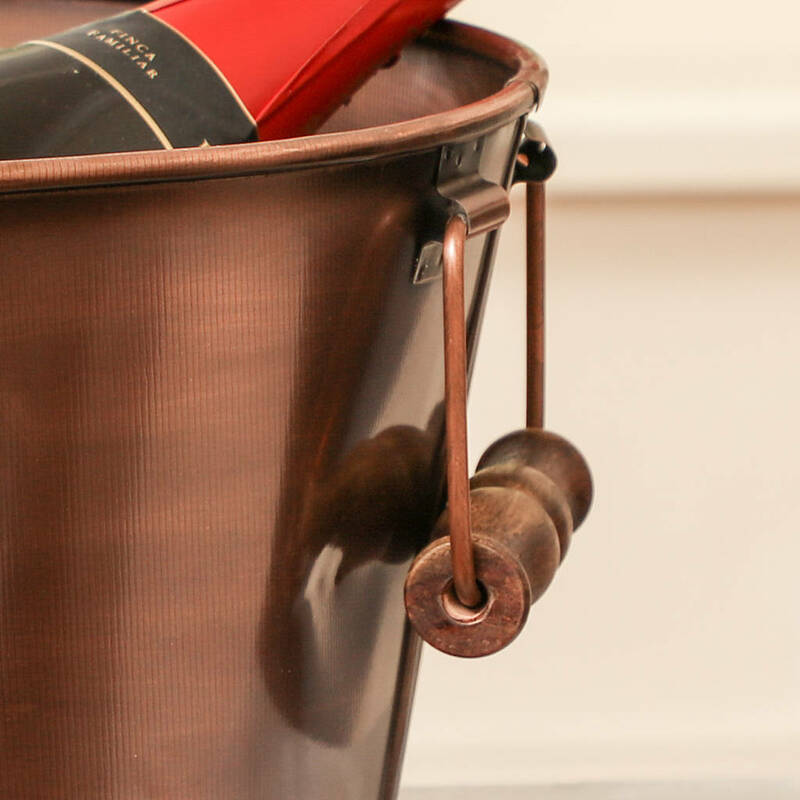 A contemporary copper champagne bucket with botanical detailing and wooden handles, perfect for keeping champagne and wine bottles chilled. 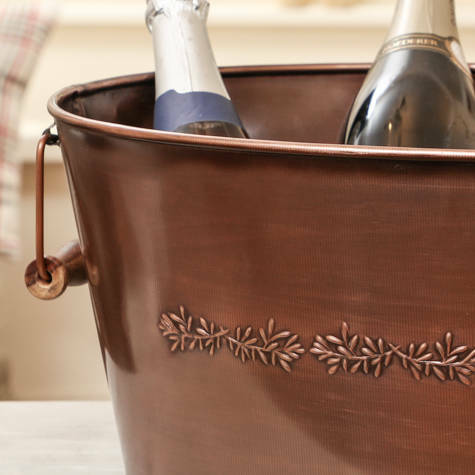 This classic champagne bucket is made from iron with a burnished copper finish, complementing any interior with a look that's right on trend. 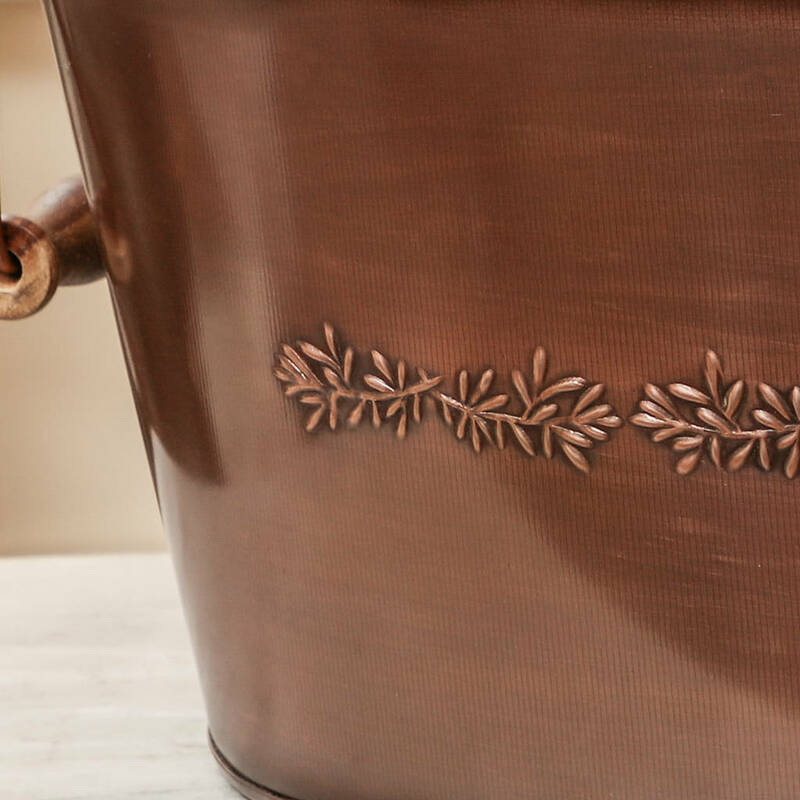 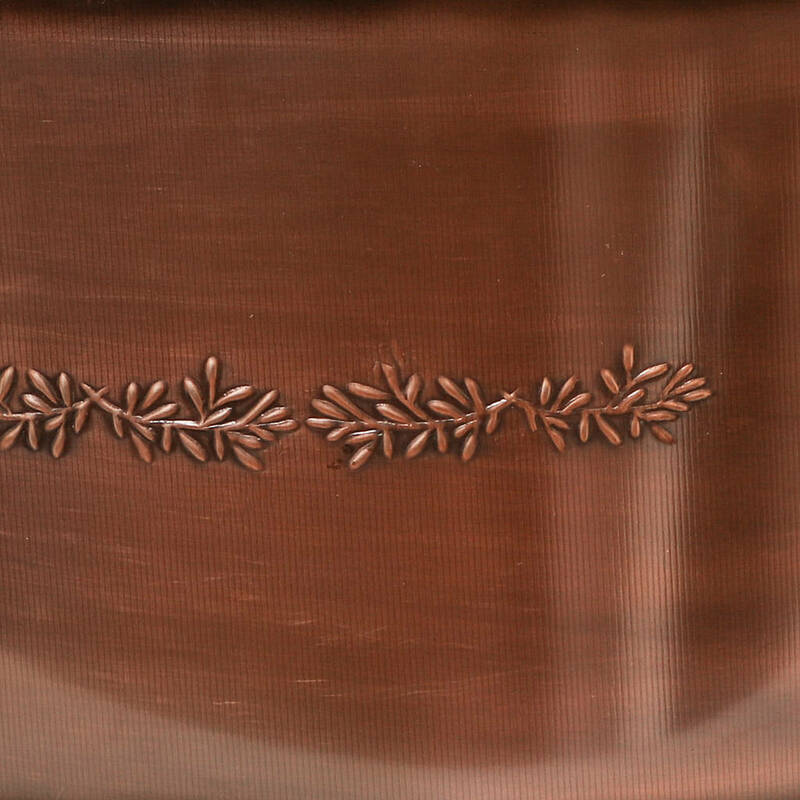 Decorated with a lovely botanical motif along the front of the ice bucket and featuring two wooden carry handles, this fantastic bar accessory is easy to transport around the home when full. 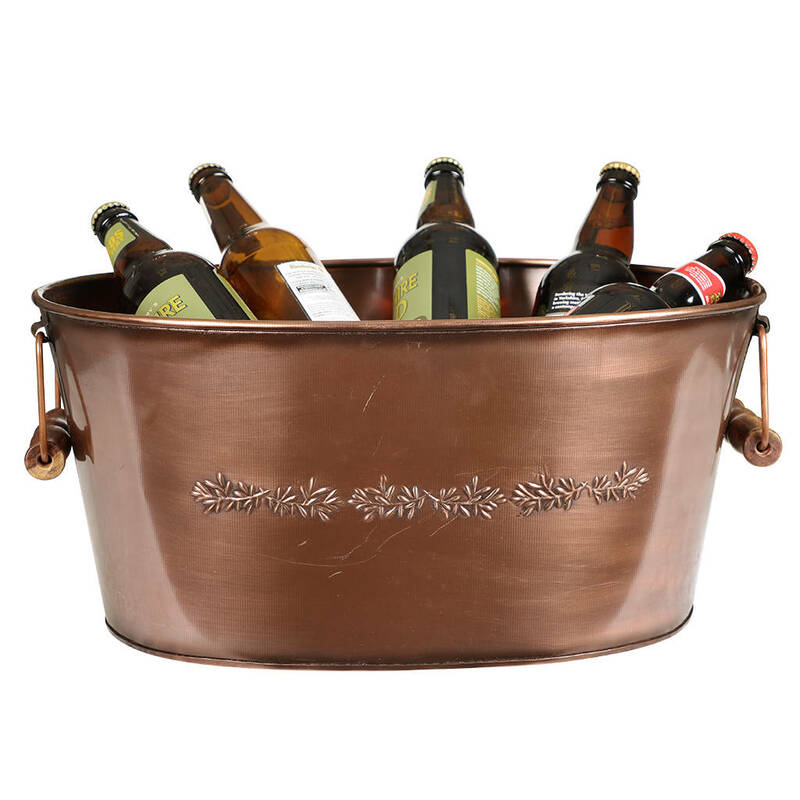 Ideal for use at a dinner party or barbeque, this ice bucket has plenty of room to be filled with your favourite drinks from beer to wine to keep the party going all night! 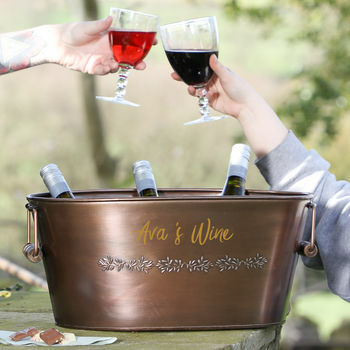 PERSONALISATION – Exclusive to Dibor – complete a wonderful gift with our bespoke personalisation service at the Dibor West Yorkshire Mill studio. 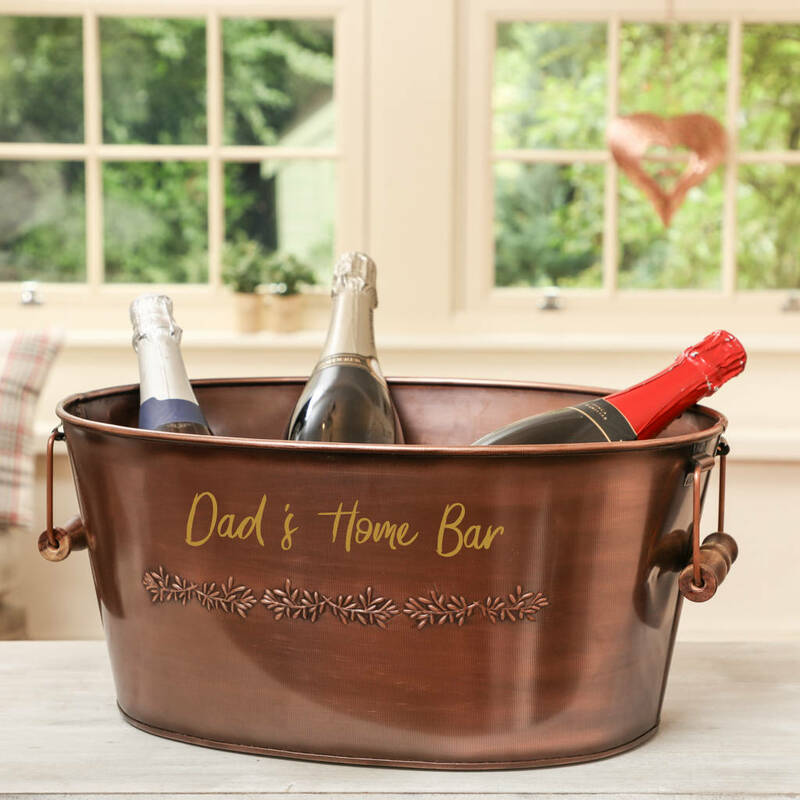 Carried out from beginning to end by our specialist team to create a truly special gift that's polished and packaged by hand. 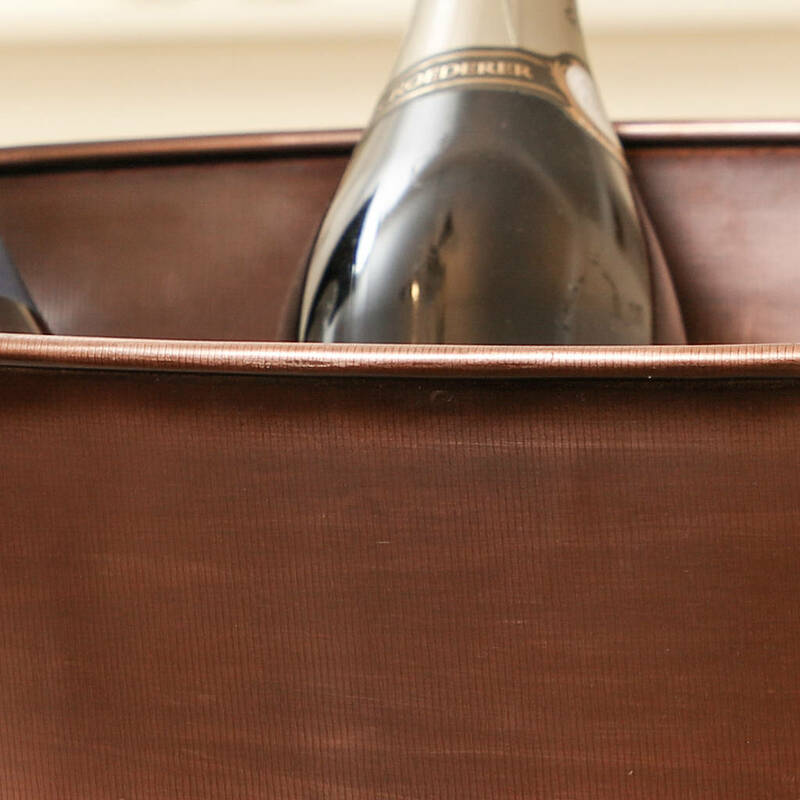 We’re confident we can meet – and exceed – your expectations for a truly luxurious, unique gift! 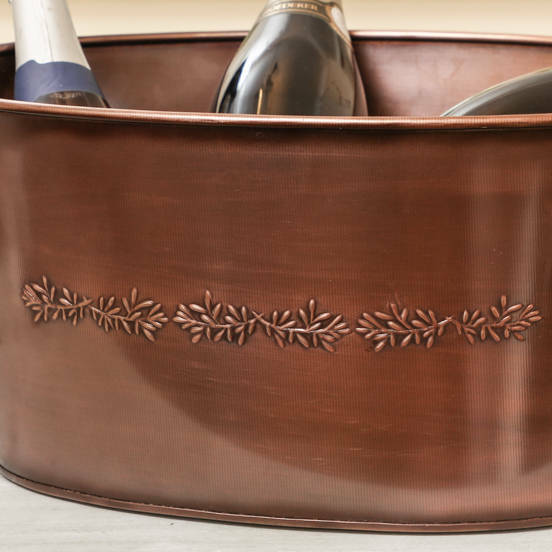 Made from strong and durable iron, ensuring that this fantastic product can be used again and again.